One a day for 365? Really? : 38/365 Warning! That's gonna hurt! 38/365 Warning! That's gonna hurt!, originally uploaded by phlegmmy. 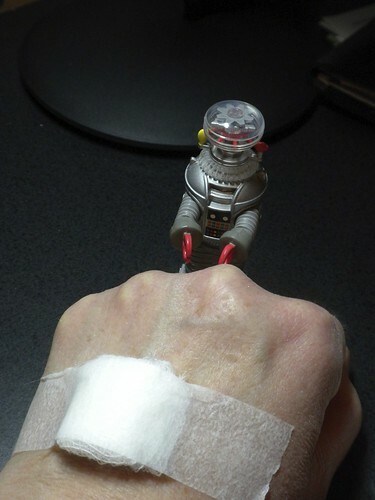 Fist bump with B9 over routine blood work.